Messaging Records Management (MRM) policies in Exchange Server 2010 are comparable to rules in an Outlook client. With these policies, an Exchange Administrator has the ability to automate the processing of email and simplify message retention. Examples of reasons for implementing MRM rules are things like: your company needs to comply with requirements from Sarbanes-Oxley (SOX), the Health Insurance Portability and Accountability Act (HIPAA), or the US Patriot Act. 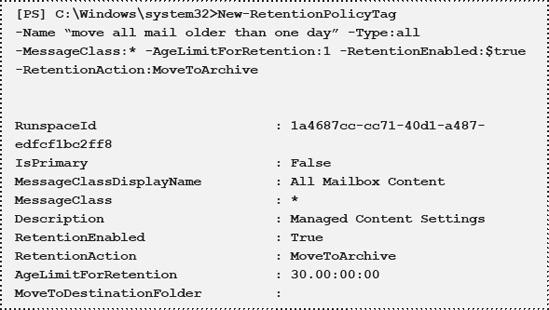 Configure retention policies on users' mailboxes. Configure settings on specified folders so that messages in these folders are sent to another recipient. One way to implement MRM is by using "Managed Folders," which involves an Exchange Administrator creating one or more custom folders and an associated custom folder policy. This policy can be responsible for, as an example, messages being deleted after 180 or 360 days, but the user is still responsible for moving the individual messages to the custom folder. You have to migrate the Managed Folder solution to a Retention Policy solution before implementing an Archive Mailbox. New in Exchange Server 2010 is the implementation of MRM using "Retention Policies" and "Retention Tags." Retention Tags specify if retention is enabled, how long a message (which can be a note or a contact as well) should be retained, and what action will be performed when the retention age is reached. 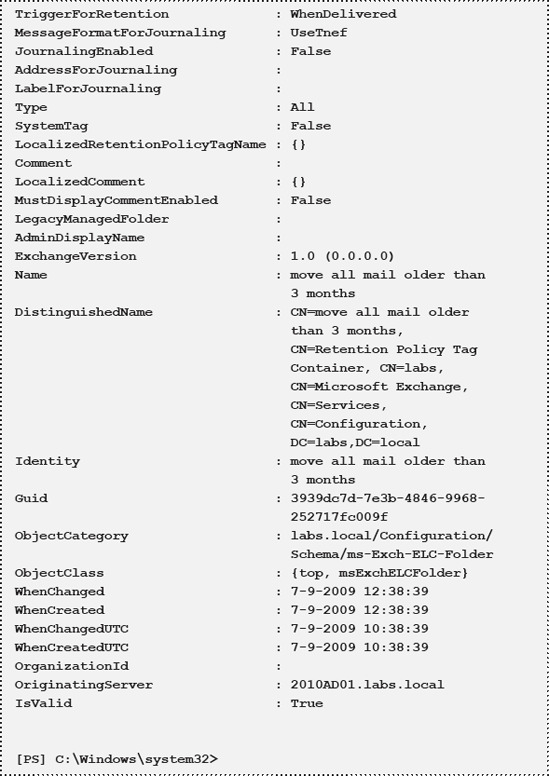 Messages are processed by the Exchange Mailbox Server based on the retention tags and those tags' content settings. When a message reaches the retention age limit specified in the tag, it can be archived, deleted, or flagged for user attention. Create the necessary Retention Tags which define when an action should be taken (i.e. when the retention time of 3 months have passed). Create the Retention Policy that defines what needs to be done when the retention time has passed (i.e. move to the Archive). Apply the policy to the mailbox. When the Managed Folder Assistant has finished applying the policy, you can check the mailbox and its archive. 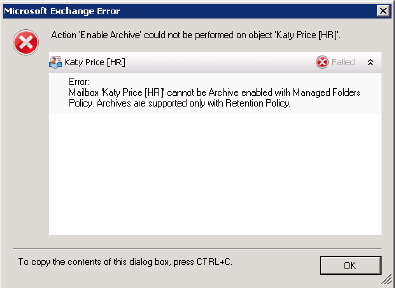 For the user "Katy Price" in our example, the mailbox has shrunk from 1.5 GB to "only" 430 MB. The remaining 1.1 GB of mail data has been moved to the archive. Figure 16. Messages have been moved to the Archive when the Managed Folder Assistant ran the policy. 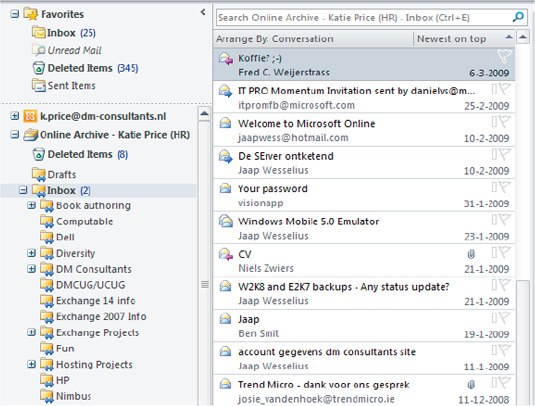 The Managed Folder Assistant is running on the Mailbox Server where the user's mailbox resides. 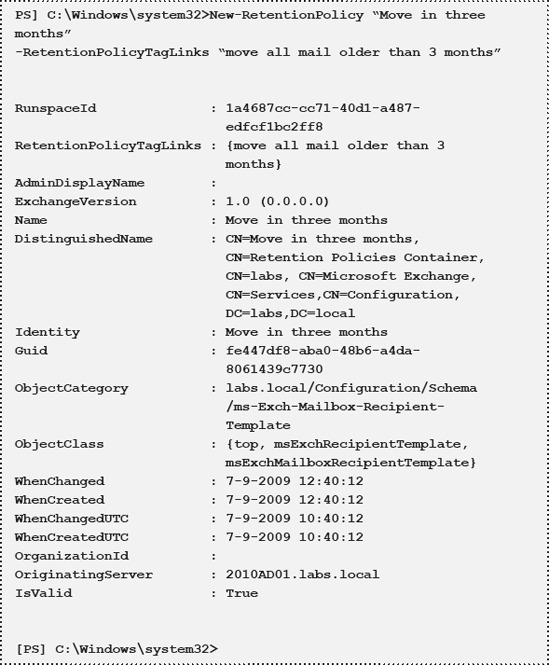 To change the schedule when the Managed Folder Assistant runs, open the properties of the Mailbox Server in the Exchange Management Console and go to the Messaging Records Management tab. Be careful when you schedule the Folder Assistant to run, especially when a lot of mailboxes are initially managed, and a lot of data needs to be moved. In that situation, the Managed Folder Assistant will consume quite a lot of resources very quickly. mark as past retention limit.